April 15, 2013 was Tax Day, and an annual protest against taxes funding the military war machine was held at IRS offices on W. 44th St with the National War Tax Resistance Coordinating Committee (NWTRCC), War Resisters League (WRL), Granny Peace Brigade, Veterans for Peace, Rude Mechanical Orchestra and others in attendance. 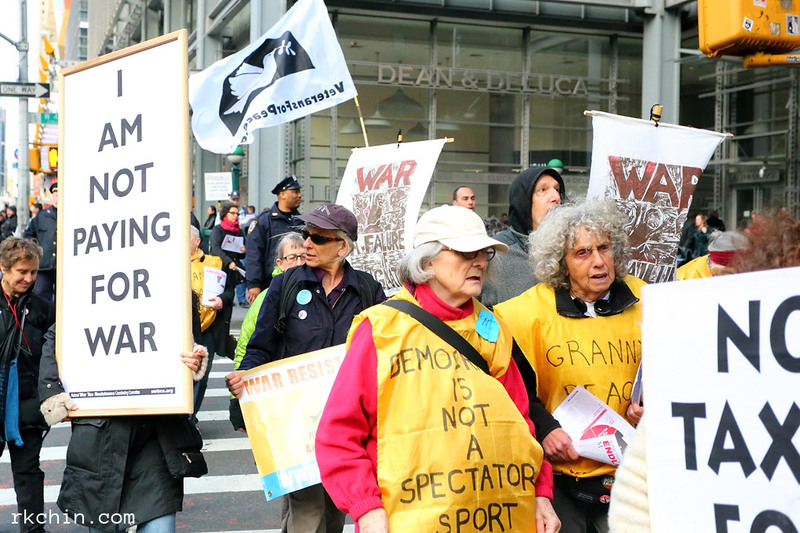 The Granny Peace Brigade was out in force handing out War Resisters League Pie Chart flyers outlining where your Income Tax Money Really Goes http://www.warresisters.org/federalpiechart and the NWTRCC had their larger black & white signs out encouraging tax refusal. 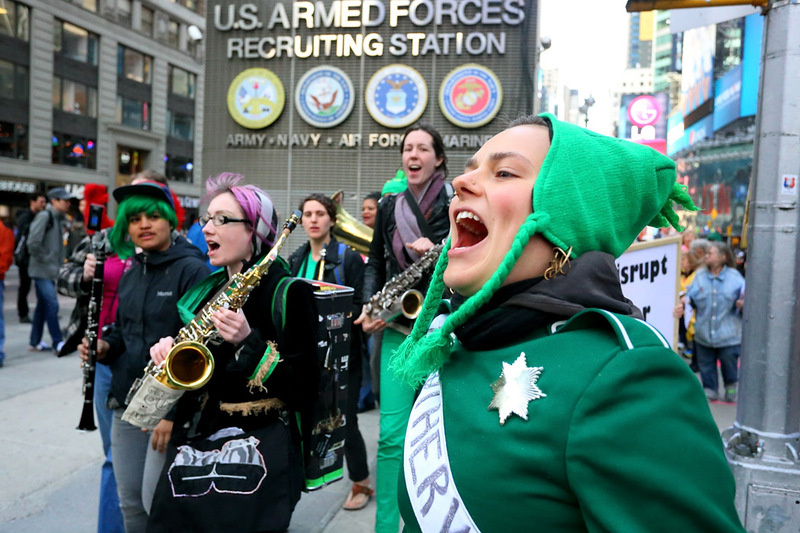 No protest would be complete without a march. 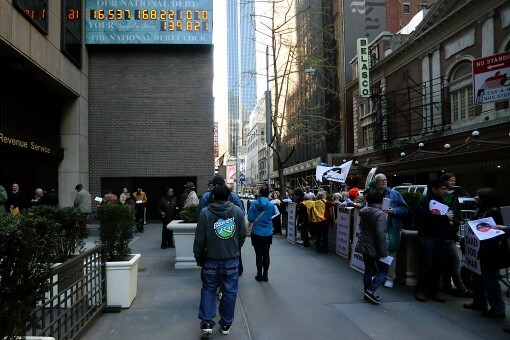 Like last year, the march was to the General Post Office–via Times Square–handing out federal pie chart flyers along the way and musical accompaniment by the Rude Mechanical Orchestra. 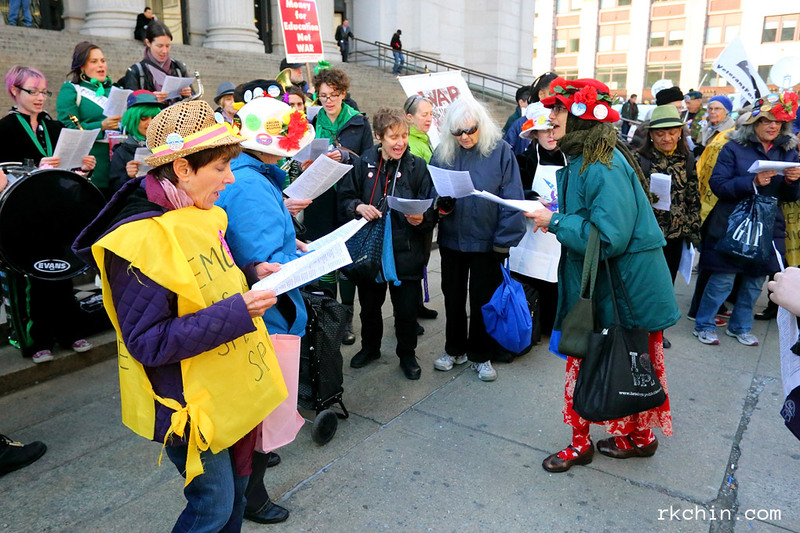 At the General Post Office the Raging Grannies were waiting with song sheets in hand. 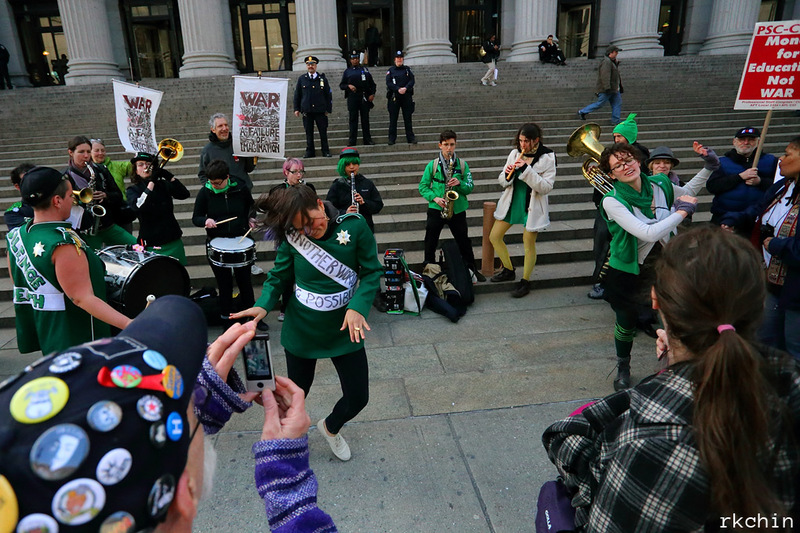 There were no barricades on the steps of the post office this year, and the police presence was largely amicable. 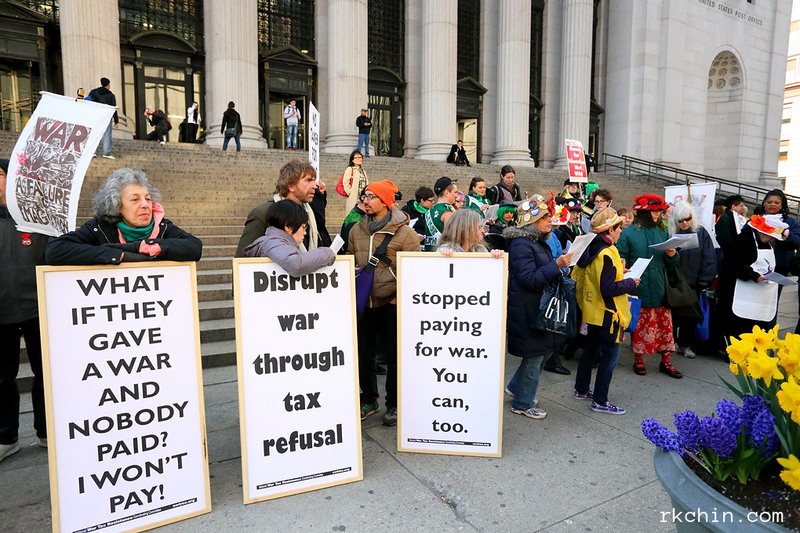 Here people sang anti-tax and peace songs, handed out WRL pie chart flyers to last-minute tax filers, and danced.